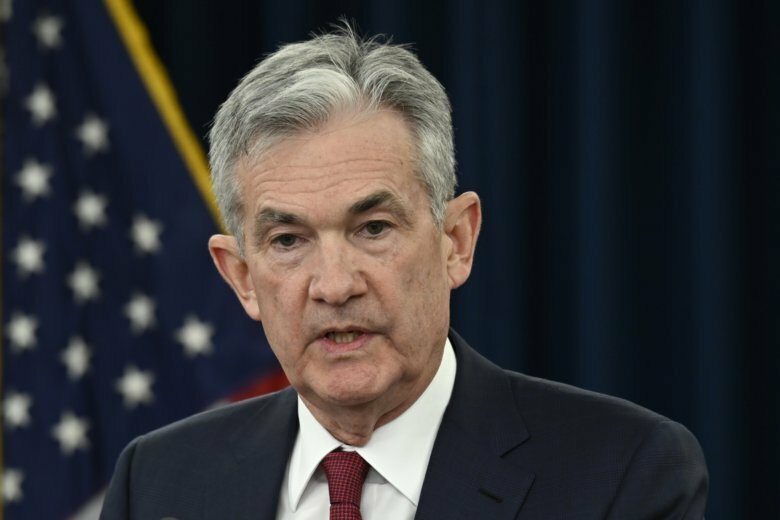 Speaking at a news conference after the Fed raised its key interest rate for the fourth time this year, Powell acknowledged the challenge for him and his colleagues: As the Fed edges closer to ending its rate hikes altogether, its decision-making has become trickier. No longer will the Fed be able to signal weeks in advance the near-certainty of a shift in rates. Rather, the central bank will need to base its decisions on the most up-to-date economic figures on jobs, inflation and economic growth. There will be more uncertainty. And markets hate uncertainty. His words, delivered in the chairman’s characteristic calm baritone, were meant to be reassuring. But the stock market instantly delivered a sour verdict. Minutes into Powell’s news conference, stock prices extended a mild fall into a plunge. By the close of trading, the Dow Jones Industrial Average had lost 352 points — 1.5 percent. In recent years, investors had grown used to Fed officials telegraphing any future rate changes well in advance. Surprises were rare. Yet that policy is less viable for Powell than it was for his predecessor, Janet Yellen, who presided over a series of rate increases from a record low in 2015. Because she was managing a series of steady increases from near zero, Yellen could signal forthcoming rate hikes in advance. She was also able to begin overseeing a gradual shrinkage of the Fed’s portfolio of mortgage and Treasury bonds, which had ballooned as high as $4.5 trillion in the aftermath of the financial crisis. Powell said he would continue to reduce the balance sheet. But he stressed that rates would be the main instrument of Fed policy. “He’s trying to signal that the finish line is within sight, but we’re not quite there yet,” said Carl Tannenbaum, chief economist at Northern Trust, a financial services company. The difficulty for Powell is that he can’t speak too confidently about the trajectory of rates, especially because he has said the Fed is nearly at its “neutral” rate. That’s the point at which its key rate is thought to neither stimulate nor hinder growth. But exactly where that point is depends on what the latest economic data may show. And Powell is acknowledging that forecasting rate hikes has become tougher in this environment. “He’s being intellectually honest,” said Megan Greene, global chief economist at Manulife Asset Management. Greene suggested that for Powell, the stock market might have been impossible to appease Wednesday. Had the Fed announced a pause in rate hikes, it might have panicked investors about a sinking economy. Yet if the Fed had stressed its commitment to further hikes, it might have sparked fears that its intent to lift borrowing rates close to historic averages could shove the economy into a recession. “His challenge is to communicate his way through this shift from forward guidance to data dependence,” Greene said. For Powell, the economic outlook has become hazier as, in his words, “cross-currents” have emerged. A global slowdown is already weighing on growth. Stock markets have sold off sharply since September as the stakes of the trade war between the United States and China have intensified. Many economists are predicting that the United States could sink into a recession by 2020. Perhaps most important, Powell must find ways to preserve his political independence as he endures a barrage of criticism over rate hikes from President Donald Trump. Trump, who chose Powell to lead the Fed, is expressing concern that the Fed’s rate increases could derail the economy. All these factors could influence the performance of the economy and how many more rate hikes the Fed will impose. To that end, Powell wants to downplay forecasts about Fed policy. Instead, he has decided, beginning in 2019, to hold news conferences after each of the Fed’s eight meetings each year, rather than only quarterly. The additional news conferences raise the likelihood that every Fed meeting could be the occasion for adjusting Fed policy in ways that might upset the markets. On the other hand, managed well, the news conferences could provide a valuable tool for Powell to shape how investors interpret the Fed’s policies. AP Business Writer Marley Jay contributed to this report from New York.